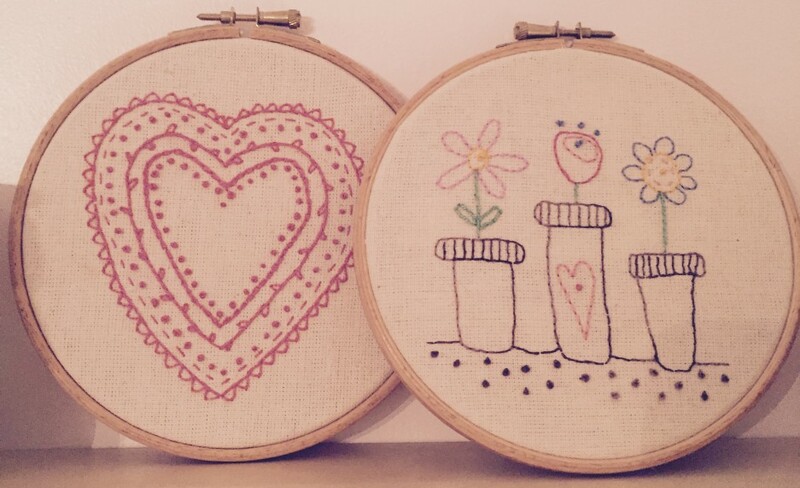 What about some cross stitch or mini embroidery? Lovely little frame. I can’t say I’ve ever tried this, but you could embroider around some of the floral motifs on the fabric you love too and kind of do 2 out of 3 of your choices. Or print out a photo onto some muslin and embroider that. (although you need some supplies to use your inkjet / laser printer for fabric) Cross stitch like loveluciel said would be really cute in there too though. Great thing about frames though, you can always change them up to suit your mood!